Jerma Public Consultation: will you have your say? Will you take a minute to object to the Jerma proposal in its current form? ALL of us are clearly in favour of demolition of the current dangerous structure – there is no question about that. The point of this objection is to influence what is done with the space left AFTER the demolition. Some additional info: there will be a mix of 128 self-catering apartments and 250 5-star rooms. In addition, there will be another 166 residential units. It has been alleged that the residential units have been added to generate money to finance construction of the hotel, because otherwise the development would not be “financially viable”. In other words, it has been said that the owners do not currently have enough capital to independently finance the hotel itself, so the prime waterfront residential units will be sold at (presumably) sky-high prices, in an area originally meant for tourist purposes only. Thank you! The more comments, the better. Feel free to edit the text as you deem fit. The proposal is misleading from the start, since the application refers to 12 and 13 storeys, whereas the text in the EIA refers to thirteen storeys (residential units) and 15 storeys (hotel). Residential units: The Jerma area was granted by the Government through an act of parliament to Lafico for tourism purposes only. The inclusion of residential units in the plans, in an area supposedly reserved for tourism-related development only, is a betrayal of the original agreement and will irrevocably harm the area. 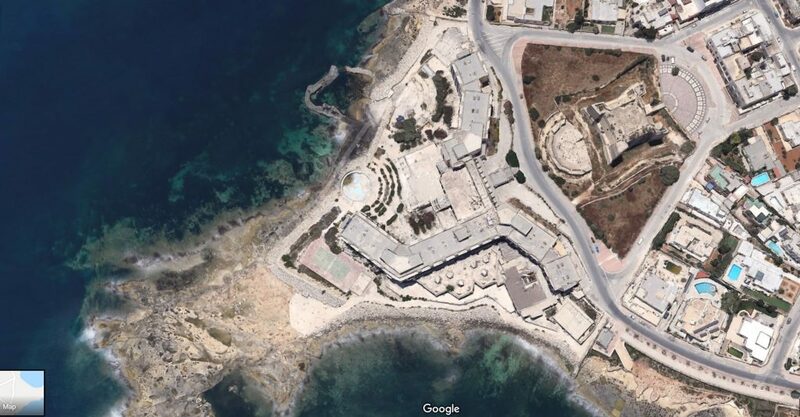 Marsaskala was not among the localities identified in the policy regulating high buildings of over 10 storeys. The development should be scaled down to 10 stories or less. No consultation with residents in the area has been carried out. 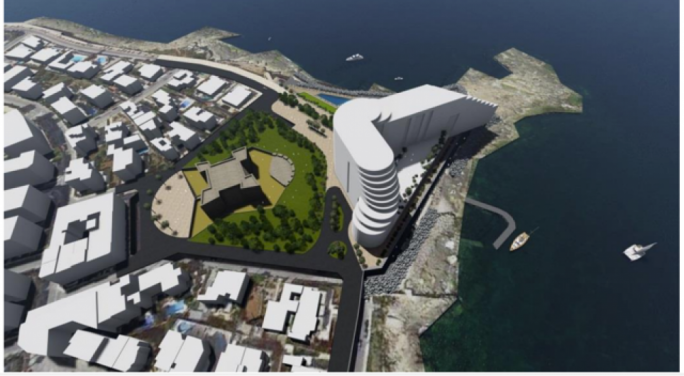 The Local Council have been asked to vote on very preliminary plans, with no real understanding of the impact that such a huge development will have on the fabric of the area, and on Marsaskala as a whole. They are against the inclusion of residential units, and the proposal has been visibly changed since the last consultation period. 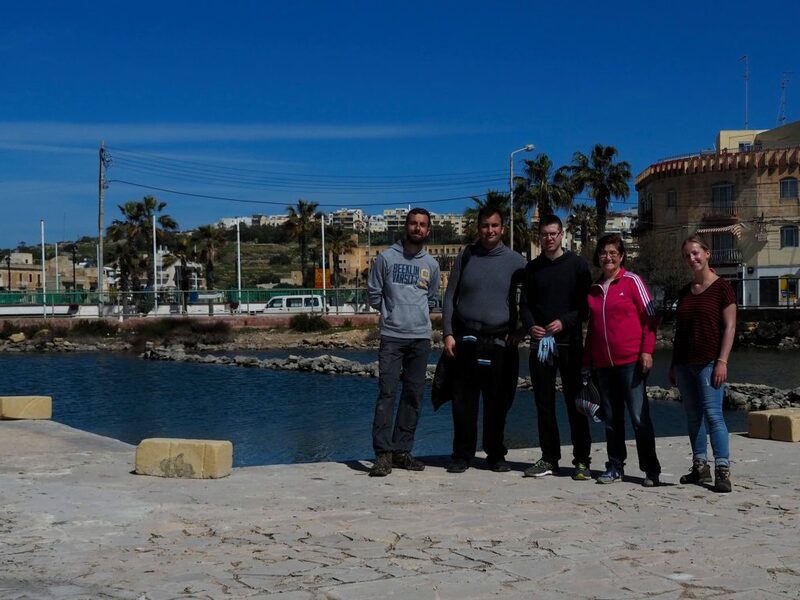 Increase in traffic and pollution in the area: This development will severely exacerbate residential traffic in the area, to the detriment of Marsaskala as a whole. It is not clear from the site plans whether access to the foreshore will be retained, or whether it will be physically possible to access parts of the foreshore where the rubble boundaries seem to touch the shoreline. This is unacceptable; the foreshore belongs to the public, and the boulders currently blocking access (which were placed illegally when Jerma was in operation) should be removed and not retained in the proposal. It is unclear whether the land owners will take responsibility for maintenance and upkeep of the public open space in the area – this is not mentioned in the PDS. There will be a substantial shadowing effect on nearby residential properties, depriving residents of sunshine during the morning, affecting both mental health. This may also have an economic impact as investments in solar PV panels or solar heaters will no longer be worthwhile. Jerma – what’s in it for you? This post is the first in a multi-part series about the abandoned, dilapidated Jerma Palace Hotel, and applicant Mr. Charles Cammileri’s proposals to redevelop the site from a 5-storey, 4-star hotel into a massive highrise with residential units spread over 13 floors and the hotel rising to 15 floors. Throughout the series, we will be extensively referring to official documents available from the Ministry for the Environment, Sustainable Development and Climate change’s request for public consultation, which closes on the 15th March. These include the Project Description Statement, and the Environmental Impact Assessment (EIA) screening report, both publicly available as pdf documents. This is an opportunity to make an informed choice about the proposal, ensuring that you have your say while basing your actions and opinions on facts. It is also a chance to engage with other residents in a spirit of amicable discussion. Stay tuned to Marsaskala.org for more. 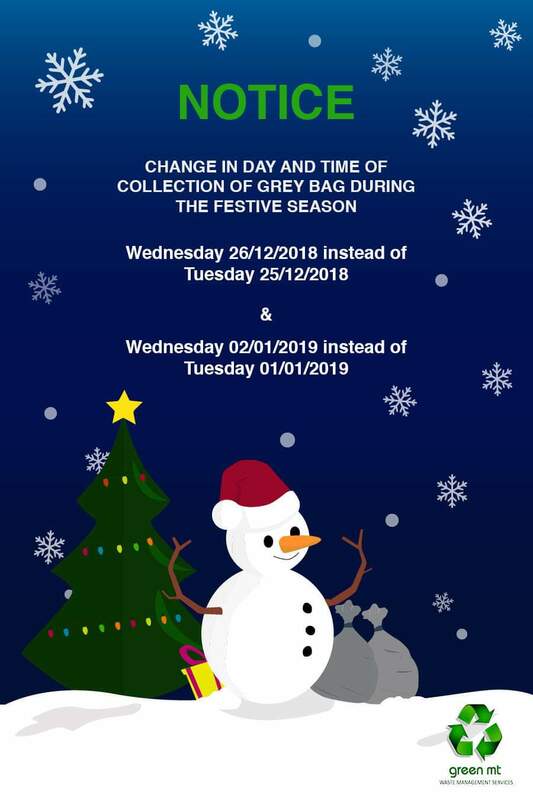 Kindly note a small change in the garbage collection schedule for Christmas and New year’s day as per below notice. We’re proud of our Island Republic, and we want to keep it looking its best. Litter and incorrectly discarded waste have marred our island’s beauty and several litter ‘hotspots’ are a major source of frustration. 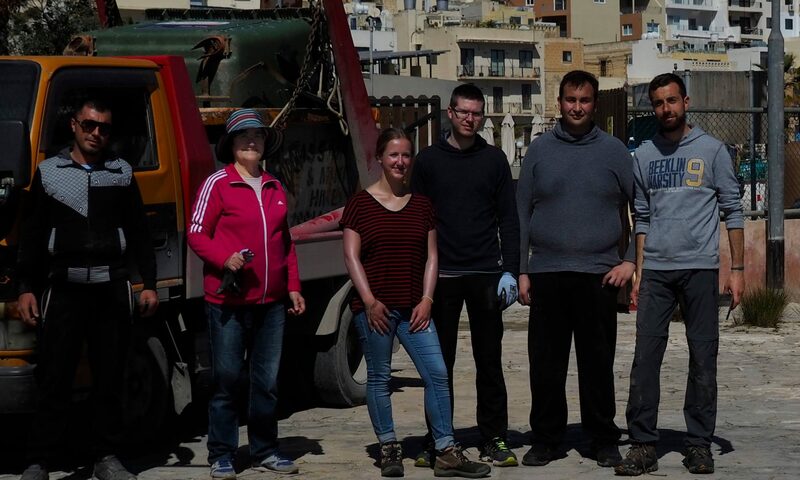 Keeping Malta clean is a shared responsibility. It’s time to work together to clean up our Island. Clean, attractive streets are a necessity for any livable country, including ours. Malta strives to be a sustainable island with a circular economy that makes responsible use of scarce resources. This in turn supports creating resources from waste. In keeping the island clean, we employ efficiency and sustainability. The better we sort our waste, the more resources we can recover through recycling, and less residual waste translates to less environmental impact. While the local councils take care of street cleaning and waste processing, Residents, Visitors and Tourists are responsible for separating and sorting waste for recycling, and keeping the island tidy. More importantly, they are responsible for reducing the amount of waste they generate by avoiding excessive packaging wherever possible. In order to extract as many resources as possible from our city’s waste, all waste must be sorted (separated) prior to collection. This is more effective and cheaper than sorting it after collection. To make this possible, all of us need to sort our household and commercial waste so that it can be collected separately. This will also help to cut down on litter, which is often the result of waste that has been disposed of incorrectly. 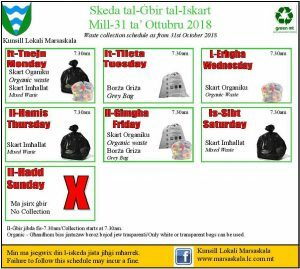 In Malta households use three separate waste bags. In reality, after placing organic waste in the organic bin and clean paper and plastic/metal packaging in the recycling bag, few items will need to be thrown away in the black bag. When you first arrive in a new neighbourhood, visit Waste Serve to find out when your locality is served, or visit the local council of your community. Take note of which bag is collected when. If you place the wrong bag on the curb side, it will not be collected. Make sure you place your own bags on the pavement in front of your own residence between 6.00 and 7.00 a.m. Do not leave your uncollected bags on the street at the end of the day! At the core of good waste management are three principles, also known as ‘The three R’s. These are to Reduce, Re-use and Recycle. Through the website Wastetips you can download factsheets with some useful tips on each of these waste management techniques. Resources provides other useful information. Be a good neighbour and a good sport. You risk being fined for failing to abide by the rules. All cans, drink packaging and plastic bottles are to be empty, rinsed and clean as are other plastic materials such as bags, and so on. Please note: glass is collected separately on the first Friday of every month! Batteries, bulky refuse, construction waste, hazardous waste and commercial waste are disposed of otherwise. 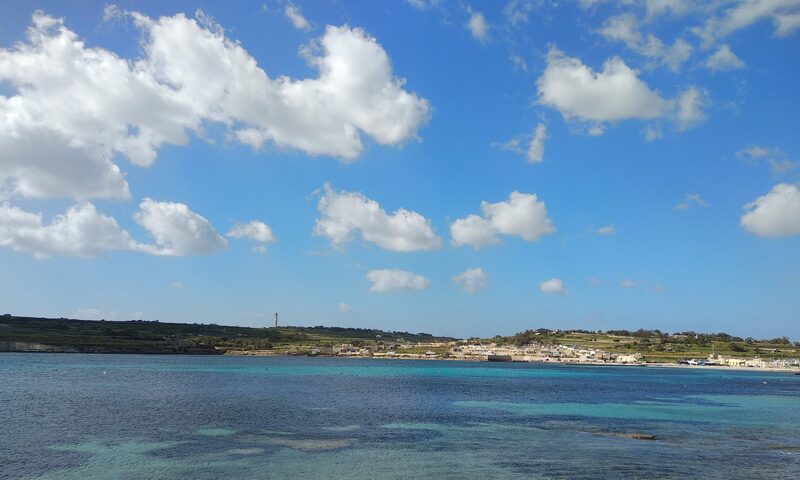 For Marsaskala the site at Hal-Far located on Hal-Far Road, close to the ETC Head Office and the site at Luqa located just outside the Marsa Industrial Estate are the two closest ones. Civic Amenities sites are open from 7.30am – 5.30pm including weekends and public holidays. For further information please call WasteServ on Freephone number 80072200. 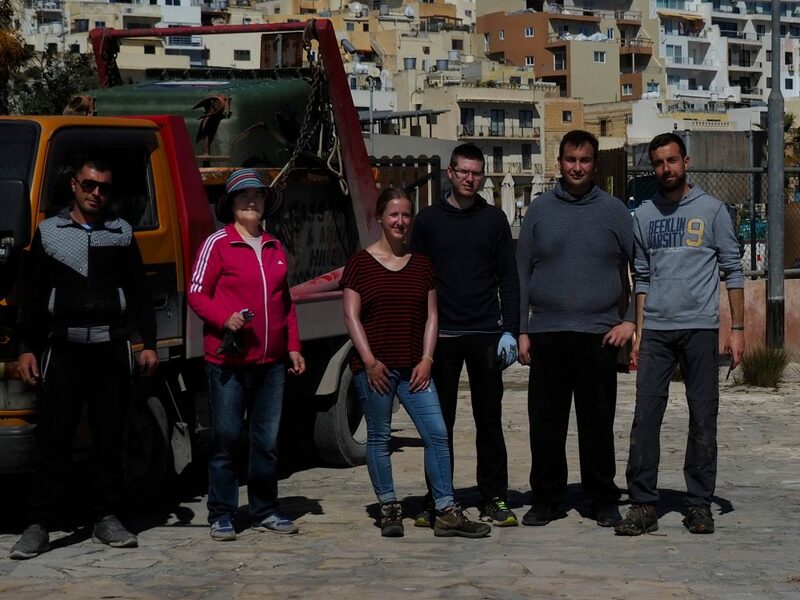 Final Note: We are looking for feedback about the garbage collection scheme in Marsaskala. We kindly invite you to fill in this short survey.